Grand Baymen properties exemplify paradise on the picture perfect island of Ambergris Caye in Belize. 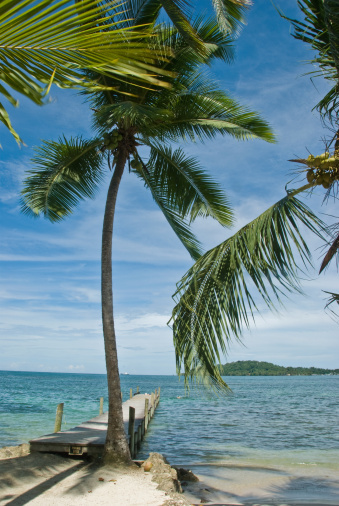 Cool Caribbean breezes that temper the warmer climate, crystal clear waters, towering palm trees on golden beaches, and perfect subtropical climates are all great reasons to invest in Belize real estate and this amazing island community. Ambergris Caye has some of the best diving, swimming, fishing, water skiing, windsurfing, sailing, and snorkeling that any island wonderland can offer. The island is skirted by an astounding barrier reef, the second largest on the planet. Colorful underwater plants and scores of exotic sea creatures thrive in waters averaging 80 degrees year-round. Ambergris Caye offers the most accommodations and activities for tourists. The islanders generally speak English and Spanish and live in brightly painted homes dotting sandy streets with stunning ocean views only a few steps away. The island is packed with things to do, a primary reason individuals invest in Belize real estate. San Pedro village is the center of activity on Ambergris Caye. The town has a population of 4,000 people and it is said that the island is one of Belize's major sources of income. The bustling night clubs with diverse music, trendy cafes, high-end restaurants, and cultural celebrations mark the way of life for locals and vacationers alike. After an exploration of the town center, return to a tranquil home and the calming atmosphere only found in an impressive retreat. Once the striking island of Ambergris Caye is explored it's easy to see why people are choosing to retire or purchase a vacation home at the Baymen Garden resort. Amenities abound in a glorious upscale community surrounded by a relaxing and tropical heaven. One of the most popular developers has created the Baymen Garden resort settled comfortably on Ambergris Caye. It's as affordable as it is beautiful, showing off spectacular oceanfront condominiums with one to three bedrooms. This opulent community has been designed with North American style in mind at only half the cost of living expenses. A lush garden surrounds elegant homes filled with dazzling amenities. Residents enjoy a multi-level pool, athletic facility, tennis courts, and of course, the most amazing cyan and sapphire ocean views. There are private beaches, outdoor dining, dancing, and drinking at Crazy Canucks beach bar. Residents also have access to the San Pedro Fitness Club, an oasis for health conscious islanders who appreciate fit bodies. Join a Tai Chi or yoga class, do water aerobics, work out on state of the art equipment, take a swing on the tennis courts day and night, or simply relax around shimmering blue pools. The current market allows for an ideal opportunity for investors to purchase vacation or retirement homes at Baymen Garden. Growth is projected for the entire Ambergris Caye, and it has been named one of the best islands to live on by major travel magazines. Condos make for great rental property as Ambergris Caye is a well-known tourist destination. An investment in Belize real estate offers affordable luxury up to 40% less than what is found on other Caribbean islands. Most investors are surprised to learn that property in Belize is reasonably priced. Grand Baymen is extremely familiar with all areas on the island and has chosen the best locations for their exquisite developments on Ambergris Caye. Explosive sunrises and spectacular sunsets, shallow turquoise pools and midnight blue drop-offs, and blue skies as clear as the surrounding crystalline waters make Ambergris Caye a popular island paradise for investors, retirees, and for those who want a glorious second home.